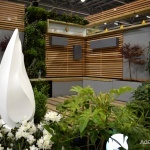 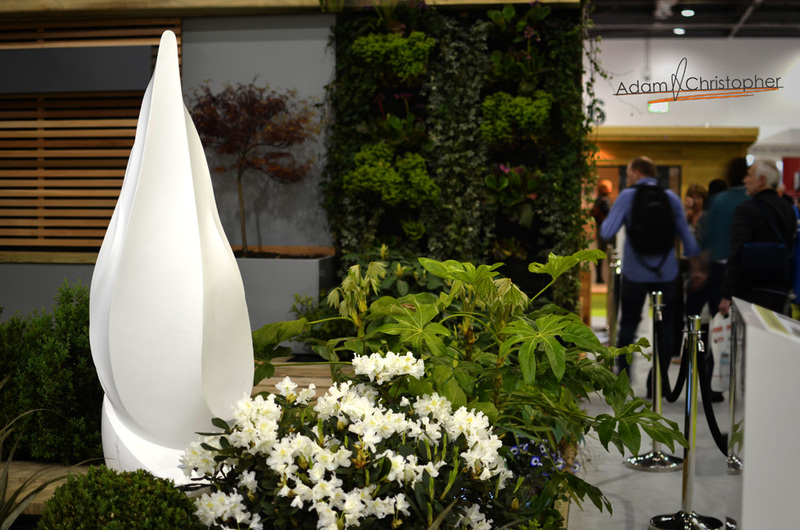 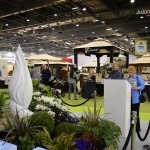 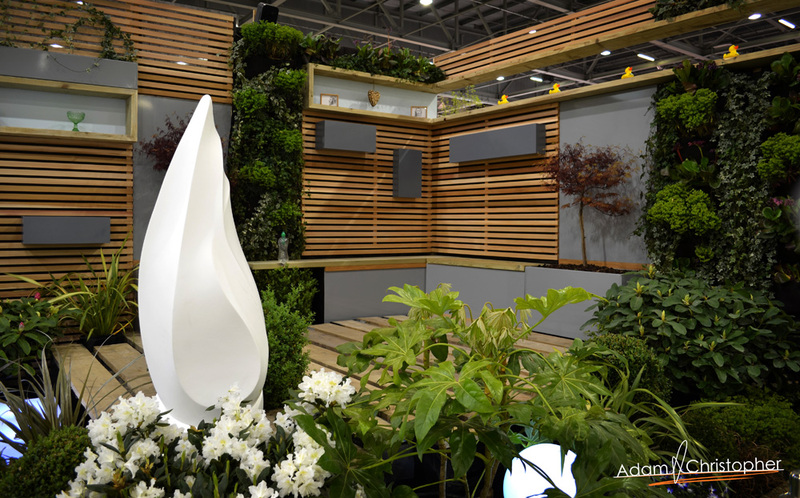 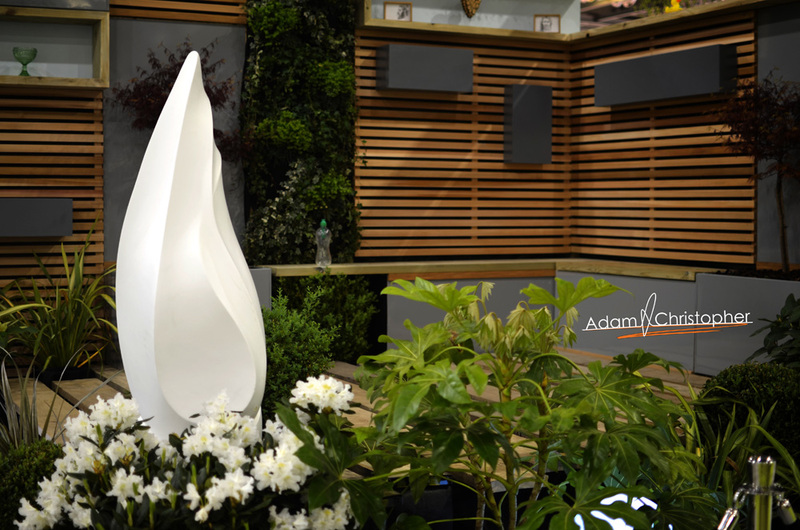 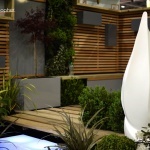 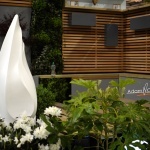 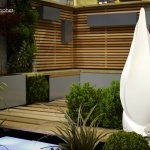 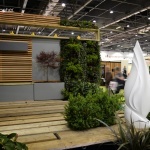 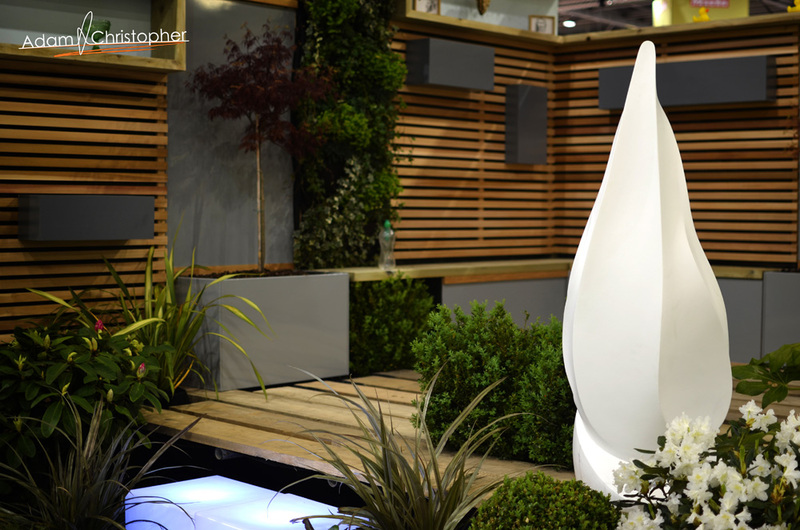 The Flame sculpture seen here on Belsize Garden’s beautiful show stand at Grand Designs is available in a wide variety of colours to suit. 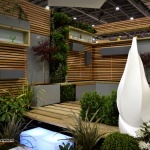 It is hand made to order in Hertfordshire UK and I am constantly experimenting with new designs, ideas and techniques so there will be plenty more to come from me. 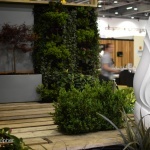 To see more specification about Flame contemporary garden sculpture then visit the shop page link below. 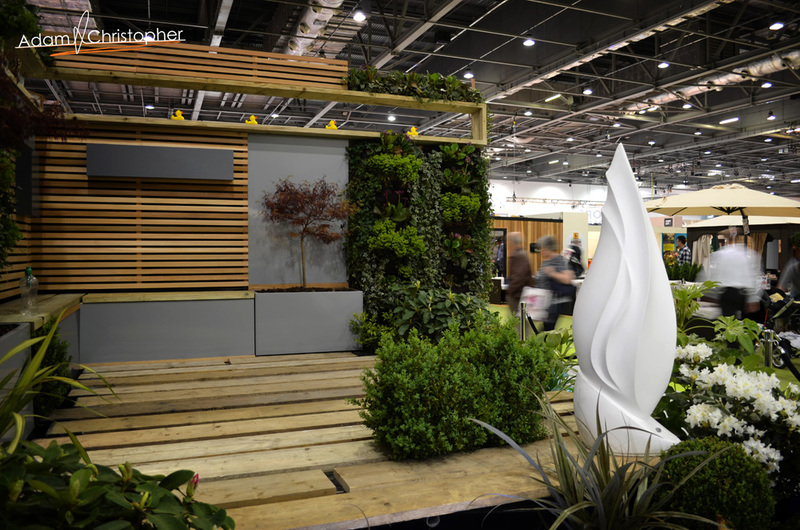 As well as displaying my work on the Scott Lawrence’s Grand Designs garden show stand I was asked to display on another designers, Belsize Gardens. 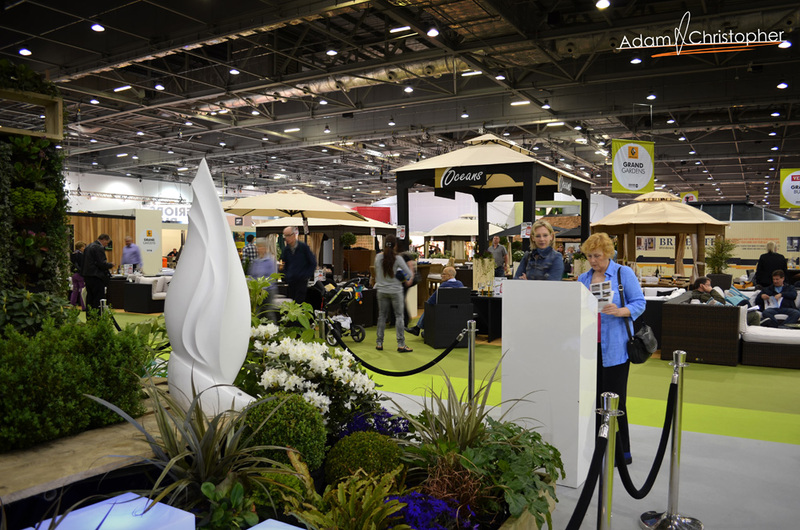 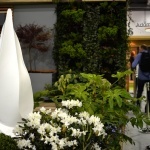 It was a completely different type of garden design and as you can see it looked great in situ both here and on Scott’s stand. 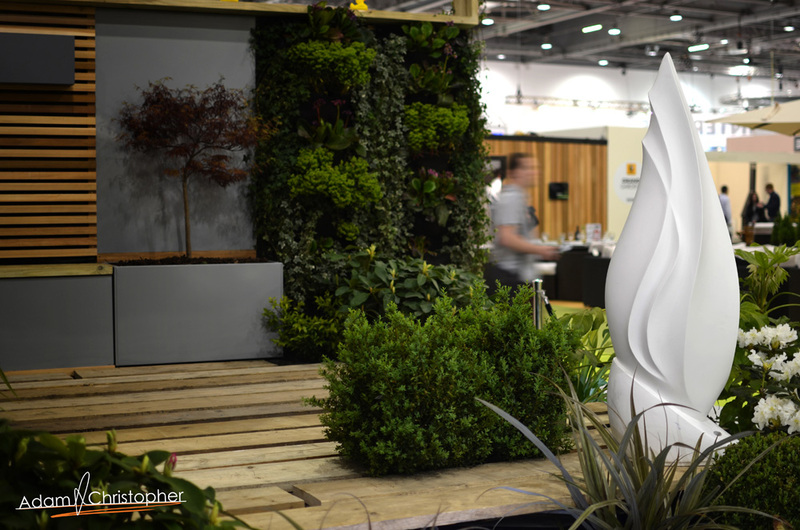 The colours of the flowers were really vibrant and the striking white sculpture blended well into the design, becoming a feature focal point. 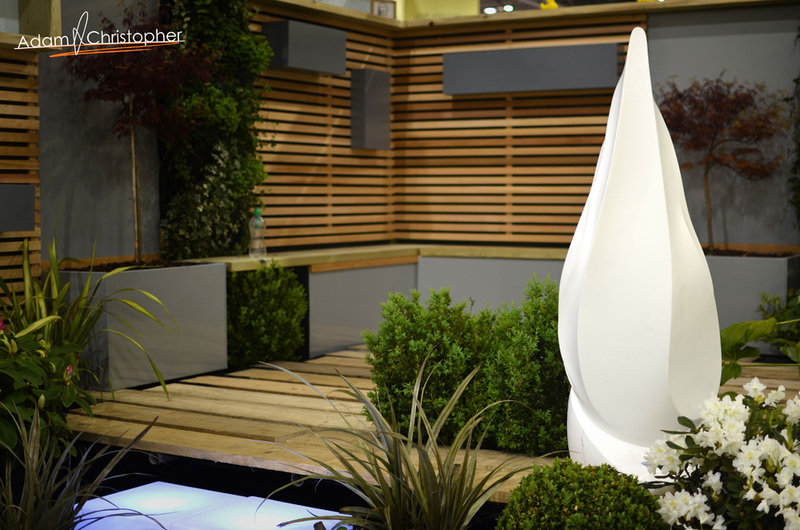 It just goes to show that you don’t need a huge garden for such a piece of art, it can work if you set it up right. 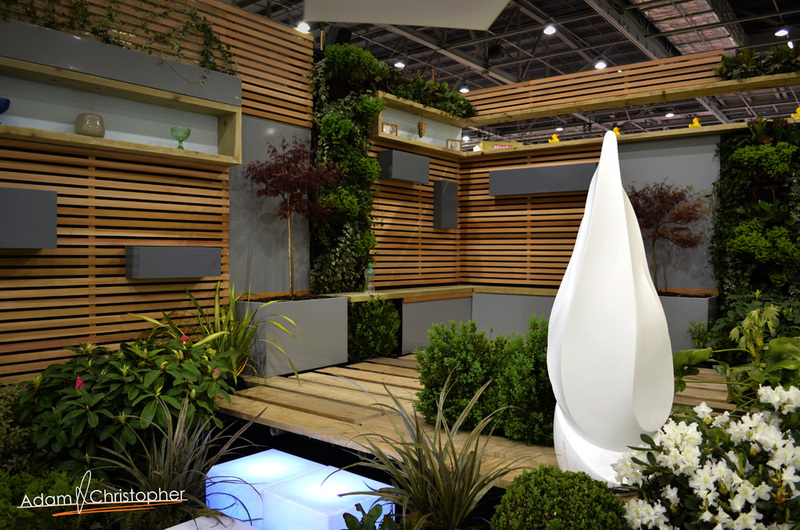 Thanks to Miles from Belsize Gardens for appreciating my work and letting me shoot my work on the stand.